OIL and Natural Gas Corp (ONGC) logged a Rs 4,000 crore loss on natural gas output in the fiscal year ended March 31, 2018 as the government mandated price for the fuel was less than the cost of production. "We need at least USD 4 per million British thermal unit to break-even as compared to current gas price of USD 3.06 per mmBtu," a senior company official said. by the government in October 2014, the price of domestically produced natural gas is to be revised every six months -- April 1 and October 1 -- using weighted average of rates prevalent in gas surplus markets like Henry Hub (US), National Balancing Point (UK excluding Russia), Alberta (Canada) and Russia. According to this formula, the price for April to September came to USD 3.06 per mmBtu as compared to USD 2.89 in previous six months. "Our average cost of production is about USD 5.14 per mmBtu. It comes to about USD 3.59 per mmBtu without taking into account return on capital,” the official said. "Gas production is now a loss-making business as irrespective of cost of production we have to continue paying royalty and other taxes." Prices have been less than USD 4 since October 2015. "Natural gas is no more a profitable business because cost of production is very significantly higher than current gas prices," the official said. ONGC, he said, has sought a review of the natural gas pricing formula. India's largest natural gas producer is demanding a floor or minimum price of natural gas be fixed at USD 4.2 per mmBtu for the business to make economic sense. 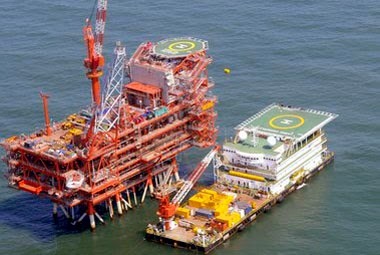 The official said ONGC's significant discoveries in KG basin and Gulf of Kutch would need higher price to bring them to production. Gas discoveries in the shallow sea off Andhra Pradesh on the east, and off Gujarat on the west are economically unviable to produce at the current government-mandated price of USD 3.06, he said, adding that in the absence of a viable gas price, it will have to mothball the USD 1.5-billion projects. The official said the Krishna Godavari basin block KG- OWN-2004/1 is in shallow water and does not qualify as a 'difficult field', which get higher gas price of USD 6.78 per mmBtu. On the western side, the block GK-28 in Gulf of Kutch is a nomination block which does not qualify for higher rates, he said. While the KG block will produce a peak output of 5.35 million standard cubic metres per day, the same from Gulf of Kutch block will be around 3 mmscmd. It would take a minimum three years to bring the gas finds to production. The combined output is about 14 percent of the ONGC's current output of 60 mmscmd. He said the KG block discoveries are in water depth of just about 8-metres, developing which is costly since ultra- shallow rigs are scarce and therefore expensive. ONGC also has a couple of smaller fields with a total expected peak production of 1.1 mmscmd, which cannot viably produce at the current domestic gas prices. Natural gas constitutes around 45 percent of ONCG's total crude oil and natural gas production volume. It produces around 75 percent of the country's natural gas output.